This entry was posted in Main on May 16, 2017 by Admin. This entry was posted in Main on June 8, 2014 by Admin. At the Ann Arbor Pinball Museum we sometimes run pinball repair classes, though currently we are on hold for any more classes. The classes were mostly designed for those that help at the museum, but sometimes there’s room for others to attend. The class we’ve been running lately is “Introduction to Solid State Pinball Repair”, and is two hours long. We cap the class at 8 to 10 people max. It’s a hands-on class too. We show how to use a DMM (digital multi meter), how to solder, how to test electronic components, pinball repair do’s and don’ts, and most common pinball repairs. Bring a DMM. You need one if you don’t have one. Flukes are great but heck even Radio Shack and Home Depot sells a decent digital multi-meter (DMM) for a reasonable price. Get auto ranging (easier to use for beginners.) Make sure it has a continuity buzz tone. Make sure it has a diode function. Otherwise all test DC and AC voltages and resistance. There are other bells but those are the big ones. Also remember you get what you pay for, so if you buy a $10 meter at Harbor Freight, don’t expect a lot (actually don’t buy a cheap meter, they really don’t work well.) Usually you need to spend $40 to $60 to get a “decent” meter. Again Fluke is king, but they are expensive. I use Tenma myself available from MCMelectronics.com but I will have a couple DMMs for people to borrow. However you really need your own meter so you can “get used to it”, as every meter operates a little differently. This entry was posted in Main on March 1, 2014 by Admin. The A2 Pinball Museum is located in Green Oaks Township off US23 at Silver Lake road. (A generalized map is shown below.) This is about 8 miles directly north of Ann Arbor at 8891 Spicer rd, Brighton MI 48116. This entry was posted in Main on November 30, 2013 by Admin. We have progressed pretty well in getting our museum pinball machines from our other locations, and set up at the VFW museum. Below are some pictures of the games, by era. Right now we have games from the 1950s, 1960s, 1970s, 1980s and newer machines set up and ready for a workout! This entry was posted in Main on November 17, 2013 by Admin. 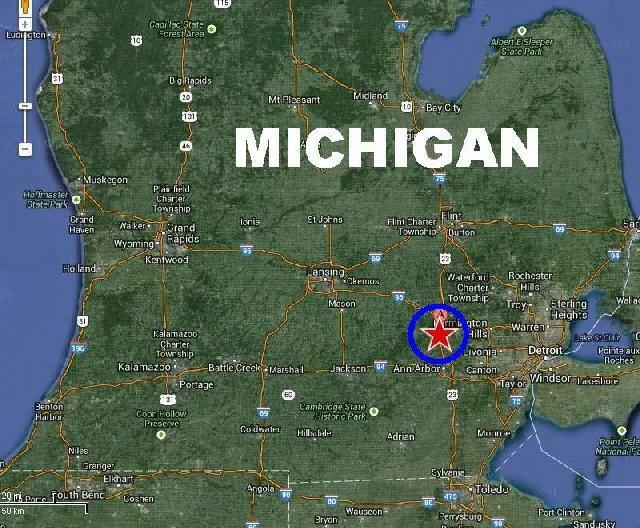 What is the Ann Arbor Pinball Show & Museum? 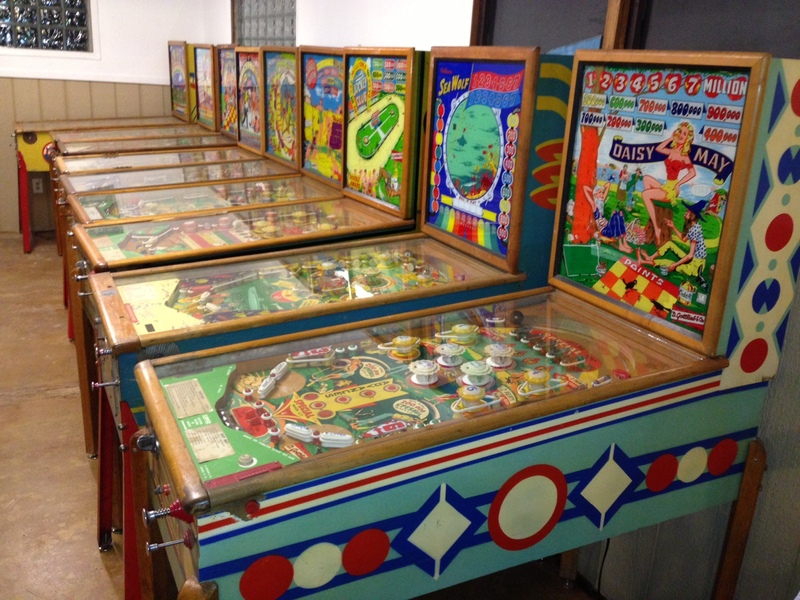 The Ann Arbor Pinball Show and Pinball Museum is Clay Harrell’s pinball project, as a way to play and showcase his collection of vintage pinball machines. Purchased an old VFW hall on 10 acres of property in Green Oaks Township (Hamburg VFW), which is about 8 miles north of Ann Arbor (on highway US23 at Silver Lake Road.) The VFW name was recycled to mean “Vintage Flipper World” to keep the building, which is rich in history, familiar to its roots. There are a handful of people that help out with the museum, from maintaining and restoring the machines, to doing building upkeep and maintenance. We have a formal agreement with the township to only be open up to four weekends a year. (As of now, we are just opening one weekend a year.) Yes we know it’s a bit silly to be a museum that’s only open a few days a year, but that’s how it worked out with the township and the insurance company. This is not unlike PAPA (in Pittsburg) and Banning CA, and their pinball facilities (open a weekend a year.) So every May the Ann Arbor pinball museum is open to a set number of people (tickets must be gotten in advance, and are limited in numbers.) Note the Ann Arbor Pinball Museum is the third largest dedicated pinball venue in North America. This entry was posted in Main on July 27, 2013 by Admin.